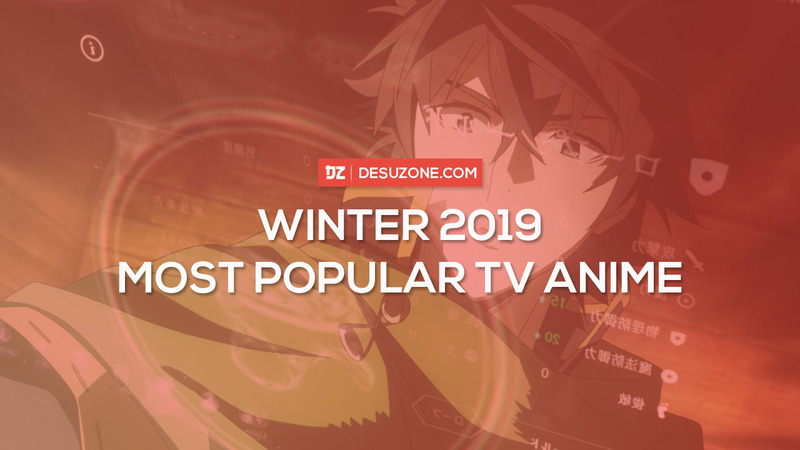 Winter 2019 Anime Popularity Ranking (NTT Docomo) – Desuzone '+g+"
Winter 2019 anime is still airing, but as usual NTT Docomo announced the popularity ranking for 31 TV Anime that premiered on their streaming service dAnime Store this Winter. 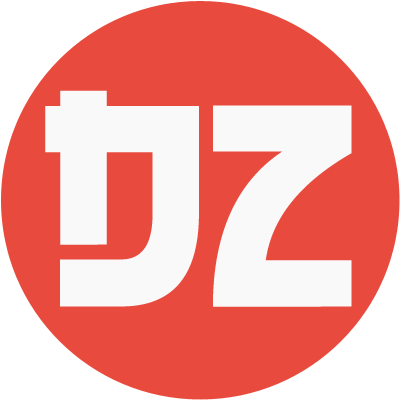 NTT Docomo itself is the largest Japanese mobile phone operator. 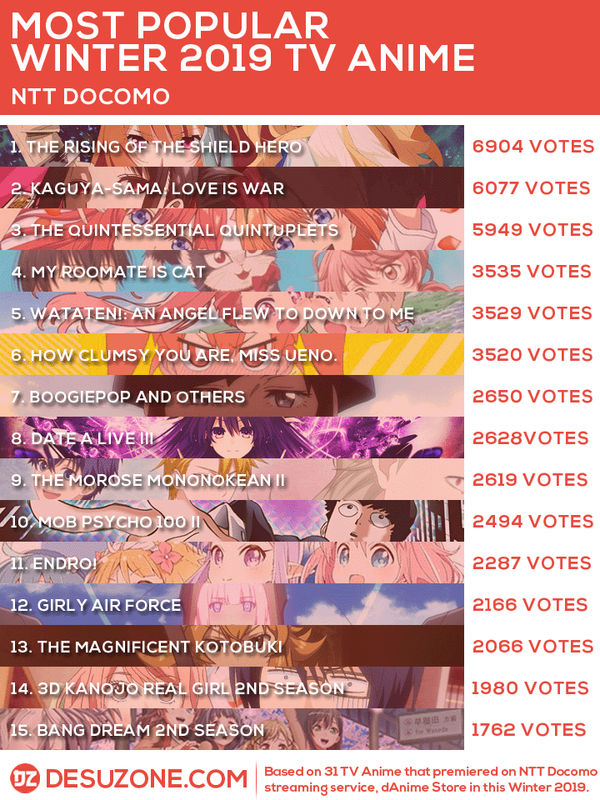 The ranking based on survey the conducted for dAnime Store users between January 25 and February 1. 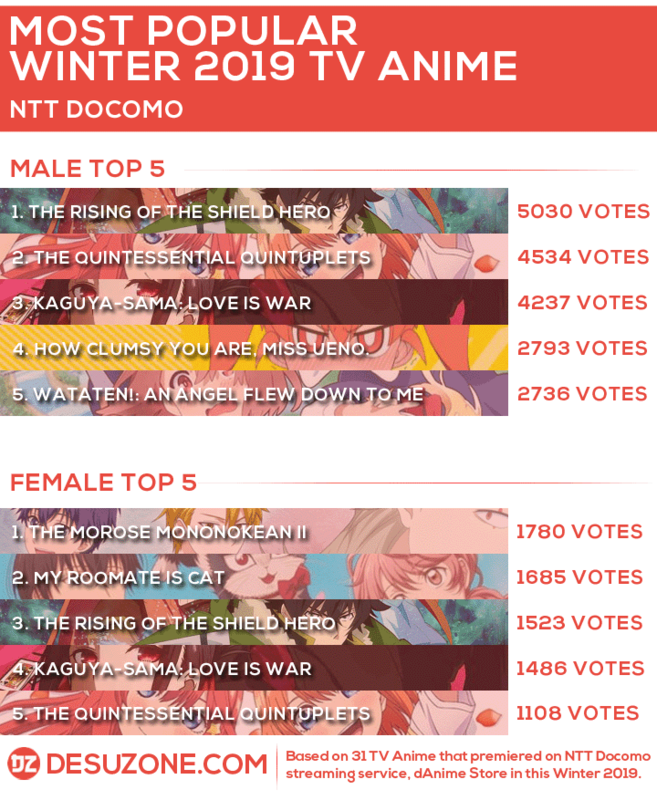 The total number of votes was 63,688 with 43,561 male, 16,843 female and 3,284 unknown.